Sentiment analysis is a hot new trend in social media, with the promise of helping brands understand what consumers are thinking and saying about their products. Products including early contender Radian 6, newcomers such as BuzzLogic, and my own company’s Webtrends Social Measurement product are becoming pervasive in marketing organizations. But while consumer sentiment is important, what’s much more important is revenue. When revenue is down 10%, “but people like us!” is not an acceptable response from the head of marketing. Sentiment analysis isn’t a solution unto itself, but it can be highly useful as a realtime feedback loop for advertising effectiveness and may soon be able to predict advertising results. In the Mad Men-era heyday of mass marketing, marketing spend was impossible to quantify. TV, magazine, radio and billboard ads were purchased, and it was very difficult if not impossible to track exactly the return on investment of various slices of the marketing spend. Marketers would focus on issues like branding, messages and color schemes, with virtually no feedback loop other than the occasional focus group. With the advent of digital marketing and online commerce, marketing spend and effectiveness is now tracked at the most minute level. How many ads are clicked on, how they convert, what is working and what is not is tracked at every level and segment. Even traditional legacy advertising is voraciously tracked, from Nielsen tracking how many consumers see a TV spot to QR codes on billboards acting as an effective realworld clickthrough. In stark contrast to marketing of the past, today’s marketers are measured by how much revenue they bring in per dollar spent. What “sentiment analysis” does is give those marketers an alternative way to measure their effectiveness — tracking how customers feel about and how much they are talking about a brand. All that effort on branding, messages, and color schemes can finally be validated! However, the number of positive mentions you generate is simply a step towards revenue. If more people are talking about Pepsi than Coke, but more people are buying Coke than Pepsi, there is something seriously wrong in the conversion funnel towards a purchase. To make sure you’re turning positive sentiment into revenue, you need to make sure you’re making proper use of the analysis you do. For bread and butter products like Wheaties and cable TV, sentiment analysis is more customer service — dealing with customer complaints that occur in social media and routing the complaints to the particular department that can handle it, before the complaints spread. Comcast, a company that many folks love to hate, has been particularly pro-active at responding to customers on Twitter, and even Salesforce is jumping into the game with its Service Force social CRM offering. For product and company launches and other new offerings, sentiment analysis can help you track in near realtime how a new product or piece of content is spreading and decide what opinions to re-promote to grease the wheels of message spread. Products like Klout and PeerIndex help further by quantifying the viral influence of people tweeting about your product, so you can prioritize retweets of positive mentions and quickly attempt to neutralize negative sentiment. However, the more important story here goes beyond what people are saying about a single brand or product launch. For the first time in history, we can look back in time and see how word of mouth and opinion about a product spreads, turns negative, or simply vanishes. Tying historical shifts in sentiment to external factors such as ad campaigns will show exactly what has worked, what hasn’t worked, and what can inflect a campaign towards viral success. Much like Wall Street tests its predictive algorithms by analyzing past stock market trends and the impact of externals factors such as news stories and government reports, companies like Topsy and Infochimps that store tweets and connections between tweets are sitting on a ton of data that can analyze past sentiment in order to predict future sentiment. 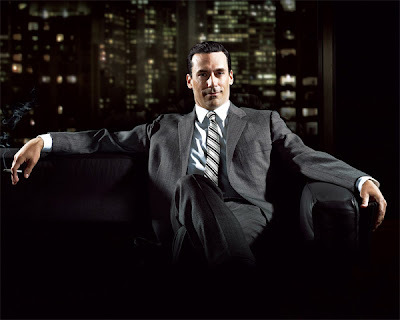 In the Mad Men era of marketing, marketers had no idea how their campaigns were doing. Nowadays, marketers can track how campaigns are performing in real time and get an idea of what people are saying about their brand. And soon, by analyzing past sentiment, marketers will be able to predict exactly how a campaign will perform, and in realtime place ad units in to tilt campaigns towards virality and conversion. Knowing that you should buy some Facebook ads targeted at a particular demographic when a multichannel campaign has had a certain amount of success on YouTube is invaluable. After all, there’s no better sentiment than having a customer’s money in your bank account. You're right. Today marketers have unique tools that can provide ongoing data to the success or failure of an engagement. Sentiment, on its own, is not a particularly useful indicator unless it is tied to a specific metric, like purchase intent or consideration. They way we (Collective Intellect) view sentiment is within the context of engagement and routing that information to the most appropriate person in the organization. So, is a consumer expressing both a negative sentiment and an intent to switch or expressing concerns about pricing. I think it's when you apply sentiment you begin to extend your understanding of your customer's intent.